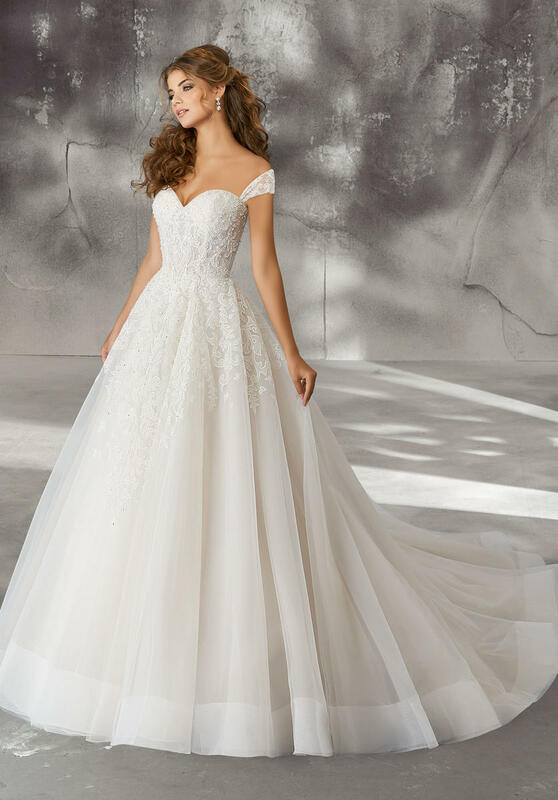 Style name: Laurielle , Crystal Beaded, Hand-Stitched Organza Embroidery on English Net with Detachable Off-the-Shoulder Sleeves. Matching Satin Bodice Lining Included. Available in Three Lengths: 55", 58", 61"